Rimless tanks are becoming more and more common and we all know why, they simply just look better. They do require a full-sized net top to span the full length of the aquarium, keeping your fish in the tank. Many people will make their own plastic brackets, magnets, or come up with their own DIY way to suspend the top just inside of the glass of the tank for the best overall look. Innovative Marine has their Auqa Gadget Screen Top Suspension Clips, which work very well with rimless tanks making suspending the top super easy. I ordered this product in anticipation to put a cover on top of my rimless tank. After receiving the product I find out that this product is not made for RIMLESS tanks, but rather for RIMMED tanks. I feel that this product is misrepresented to be sold as a RIMLESS screen top kit because it does not contain all the needed parts. Secondly, the rubber gasket the secures the screen into the frame is the wrong size. It will not fit the channel, so I had to go purchase my own from a hardware store. 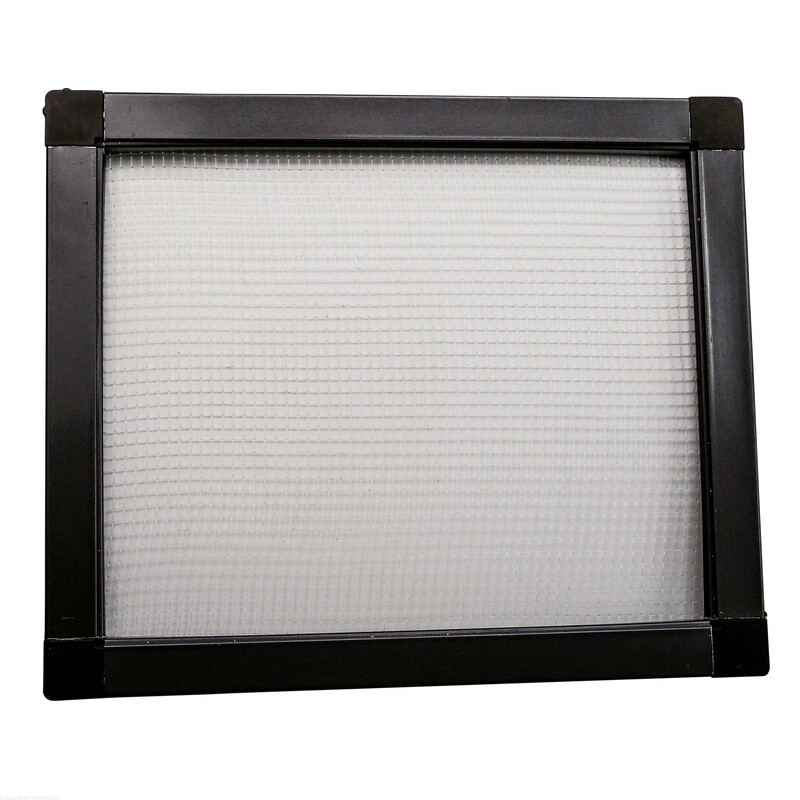 The screen is very delicate so when you try to tighten it like you would a house window screen, it tears (probably why you get 3x the amount of screen needed). I purchased this DIY kit to make a top for my Fluval M90 tank. I also purchased the clips to support the top and it sits nicely just inside my tank. Take your time and measure for the appropriate fit. My husband and I put this together in about an hour. It’s cheap but effective. The instructional video is a great help for constructing this. Best advice I can give is to make sure the piece is secure before cutting. Otherwise you’ll end up with messy scratches and it will ruin the aesthetic. This is an amazing product. The frame is easy to cut to size and the screen is simple to stretch and install with the tools supplied. I really like this screen top kit. I received it today and had it on the tank in less then 35 minutes. I had watched the tutorials so I just made sure to measure twice and cut once and everything went well. I also had my wife hold the screen tight while I installed the spline which was a big help too. Overall, a great investment. This kit is east to put toeather and looks great when it's on the tank. Sleek and low profile. It does a great job of keeping cat hands out of the tank. This DYI screen top is very easy. I built this for my 4 foot rimless tank. The only thing you'll need that doesn't come with this kit is a hack saw. I have a dremel so I used that. Follow the instructions its very straight forward. I built the screen by myself. This kit plus a hack saw from your local hardware store makes an awesome screen top. Definitely helps to have a second set of hands to keep the netting taut. Phenomenal fit and look. 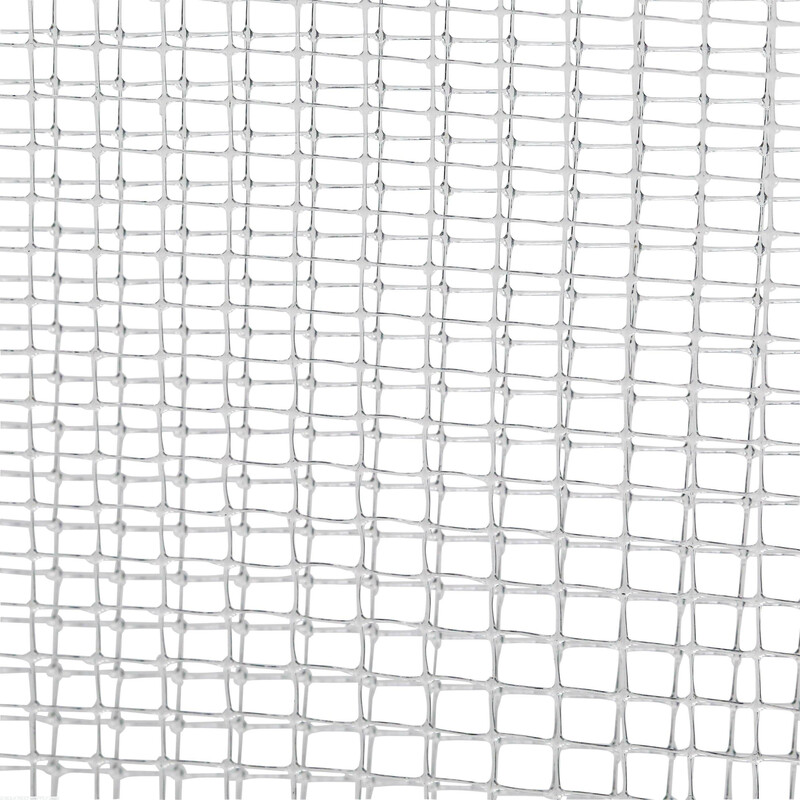 Follow the instruction video and have a helper help the netting firm. Definitely recommend this. 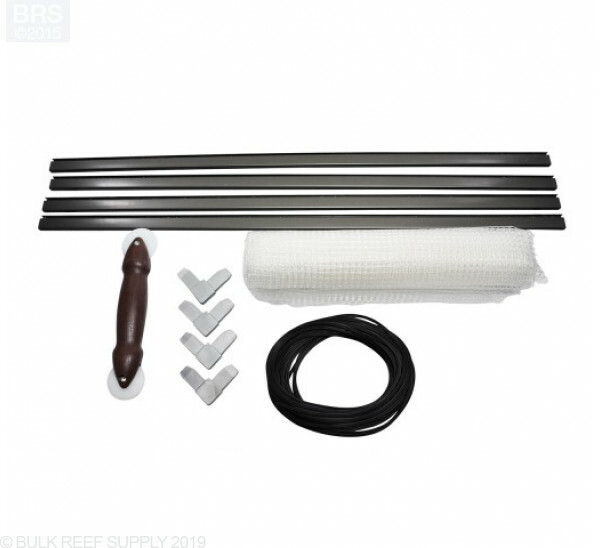 Would you recommend the 3' for a Red Sea Reefer 250? Would this work for a rimless bowfront tank? These are not designed to work with Bowfront aquariums. Is there an option available for a biocube? I have a Radion XR30W I'm going to run on my BC 29 but need to find a clean way to keep it covered since I won't run the stock good. Great question, There is not currently an option for rounded corner tanks unfortunately. The elbows on the kit are full right angles and will force the screen to fit well outside of the aquarium or well inside of the aquarium. Feel free to let us know if you have any further questions! I am trying to decide between the 1/4" and the 1/8" tops. Do they effect PAR and if so is there a difference between the two? In simpler terms would the 1/8" potentially block more light. Overall the difference is negligible between par or blocking light as the netting is so thin. In most cases we use the 1/4" netting however many applications may have smaller fish. Feel free to let us know if you have any further questions! How is the top held in place on rimless tanks? Does it rest on top of the rim, is it pressure fit inside the tank or are there clips for it to rest on? You can use aquarium lid clips on a rimless tank (listed below) For the rimmed tanks you can simply place the frame on the rim of the tank. Feel free to let us know if you have any further questions! 1/8 or 1/4 is that the tickness of the screen or the size of the opening in the screen? Also what's the size of those corners? I have quite a few tight corners to work with. Thanks! 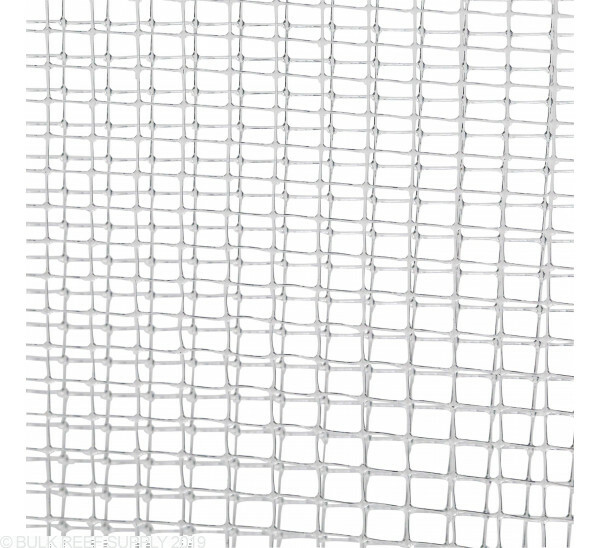 The 1/8 and 1/4 is the hole size between the screen netting. The corners will fit into the frame and on the ends will increase the size 1" (the area of the corner which is not inserted into the frame) Feel free to let us know if you have any further questions! 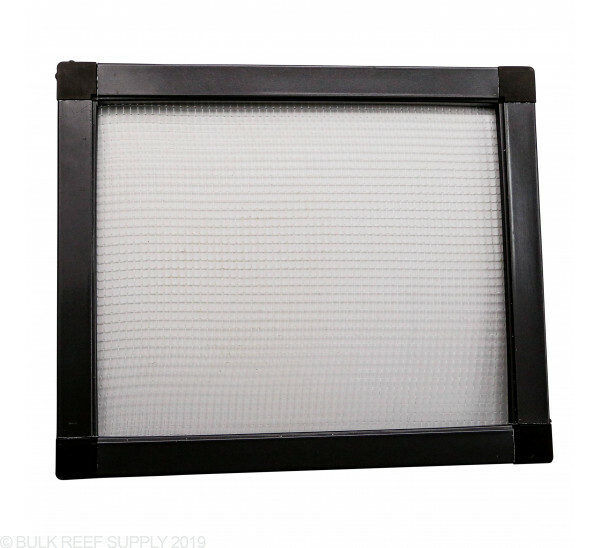 What size would you recommend for a 40 x 30 rimless tank? Normally you'll want to choose the frame in which the both the longer and shorter length frame sections will be at least as long as your tank dimensions. The 4ft kit should be fine for your needs as the longer frame sections are 4ft, and the shorter lengths are 3ft, both of which will give you more than enough for your dimensions. Buy purchasing extra elbows you can make 90 degree cut outs! I have included a link to our separate elbows below. I have a 265 gallon 7' x 2' tank with three openings. Would I need three of the 3' screens? Correct, if your screen openings are wider than 2x2 you will need the 3x3 tops. Feel free to let us know if you have any further questions! Would this work on the Red Sea Reefer 170? I would like to use this on a rimless tank, however the way my durso standpipe sticks above the overflow I do not believe there is clearance for the lid to sit inside the rim on the clips. Would there be any issues with measuring the outer rim of my tank and just letting this sit on top of everything? One of the guys in the office does the exact same thing. It sits on the glass no problem. Have a great day!